Snow, Cold Air, and Winter Storm Warnings Posted…but it’s Strangely Quiet Out There! Man doesn’t THIS look awesome! Snowshoe looks ready for Opening Day! Click to Enlarge! Something feels odd this morning. I’m not sure what it is but the temperatures are cold enough to make snow in Virginia, West Virginia and Maryland this morning, but only Snowshoe and Canaan Valley are doing so as of this posting. 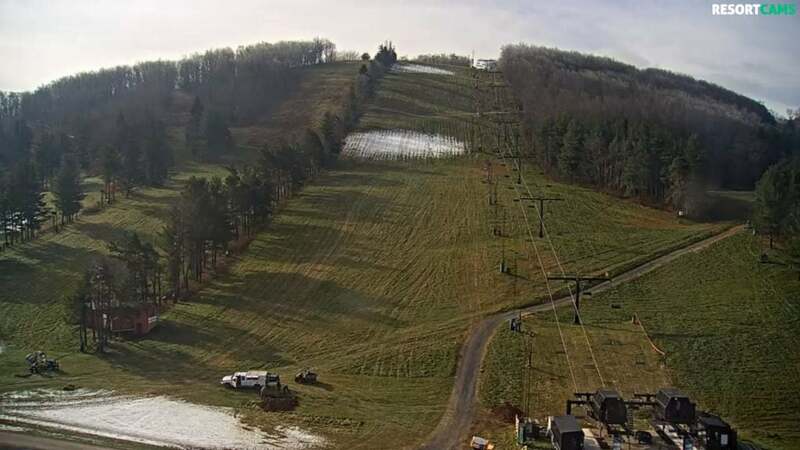 Snowshoe looks ready for prime time and Canaan Valley is laying down some good, manmade snow. It’s plenty cold enough to make snow at Wisp, Wintergreen, The Homestead, and Winterplace and yet there is nothing happening. Click to Enlarge. It DOES look like Wisp’s peeps are working on something at the bottom of the hill. On the other hand, temperatures are in the 34° range in most of the North Carolina and Tennessee ski mountains and understandably no snowmaking is happening just yet…except that Sugar Mountain IS MAKING SOMETHING. There IS something magical about that place as Gunther’s team will crank up those snowmaking machines at temperatures above what any other ski area will. IS ANYONE OUT THERE? HELLO. TAP. TAP. TAP. I’m going to show my age again this morning, but as I was “touching” each ski area virtually this morning and getting the eerie feeling that nobody was “out there”, I was reminded about an old television show in Charleston, South Carolina (where I grew up). 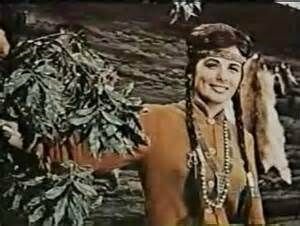 The show was called “Happy Raine” and it featured a beautiful woman dressed up like an indian princess – who used to look in her magical mirror and talk to viewers of the show. She would occasionally tap on the television monitor (camera) as if to see if anyone was paying attention. 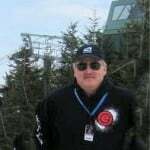 Timberline Resort – has not updated anything on their website, YouTube Channel, Facebook (except for a share of our David Lesher story October 26th). There’s no update on whether they will be opening this season or not. Wintergreen Resort is strangely quiet and not making snow as early as they have in recent seasons. Wolf Ridge Resort – while they have a new website, nothing has been posted to it since early October. It’s early yet and some ski areas could be simply waiting to see what kind of ice or ice/mix comes from this system and then look for the next window of opportunity to begin making snow in earnest. Okay, YOU GUYS ARE OUT THERE! THANKS! As I was looking around and getting that eerie feeling of “the lights are on, but nobody is home”, I decided to check in on our analytics to see what IS happening. Whew! You guys are paying attention! Yesterday we saw 15,600+ visitor sessions, which is p-r-e-t-t-y darn great for November 13th, with only ONE ski area operating and nothing much else going on. WHAT’S HAPPENING WITH THIS WEATHER SYSTEM? As reported recently, we’ve been getting more than the usual bursts of cold and moisture for this early in November. Snowshoe Mountain has already registered 6″ of natural snow via their official, NWS weather station. They are not reporting that just yet, as they usually only report snow once their season begins. Canaan Valley has seen 3.8″; Beech has already seen 1″ of snow. So we’re off to a good start in terms of the kind of weather pattern we will want to see all season long. If we can get the cold air and moisture at the same time…awesome. The weather that is coming in this afternoon and over the next couple of days DOES look challenging…and more about ice and wintry mix, than snow. But we’ll see. around one quarter of an inch expected. * WHERE…Portions of western North Carolina. * WHEN…From 7 PM this evening to 1 PM EST Thursday. Temps about the same with Wintry Mix tonight and Thursday with chances of 1-2″ of snow. Unfortunately, due to heavy rains after our concentrated snowmaking effort and a very moderated forecast for the remainder of the week, Appalachian Ski Mtn. will not be able to open for the 2018-19 season as planned on Friday, November 16. We are scrutinizing the forecast and will be continuing to make snow anytime temperatures allow. Please check back for future Opening Day updates as they will be posted as this information becomes available. Think Snow! 18° at Canaan Valley Resort and another .2″ of snow and they are making snow. See photo header! 18° at Timberline Resort and as mentioned earlier…there’s nothing happening there just yet. 31° Ober Gatlinburg and fogged in. No snowmaking yet this morning. 24° Wintergreen not making snow? 24° Winterplace not making snow? 23° Wisp not making snow? 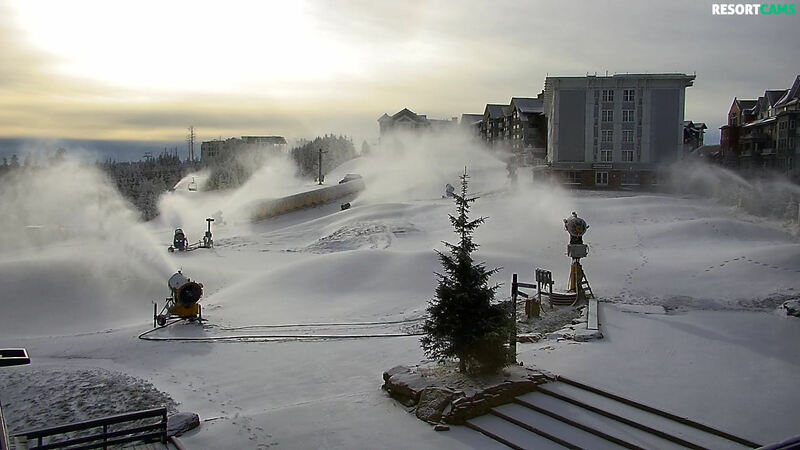 Here we are on November 10, 2018 and the snowguns are ON! The snowguns on the front side roared to life shortly before 9am this morning. Temps are hanging in the low to mid 20s and we’ll keep those guns blazing for a while. With no exact opening day currently set, our Mountain Operations Team is watching the forecast and looking for a prolonged window to lay down a solid base. 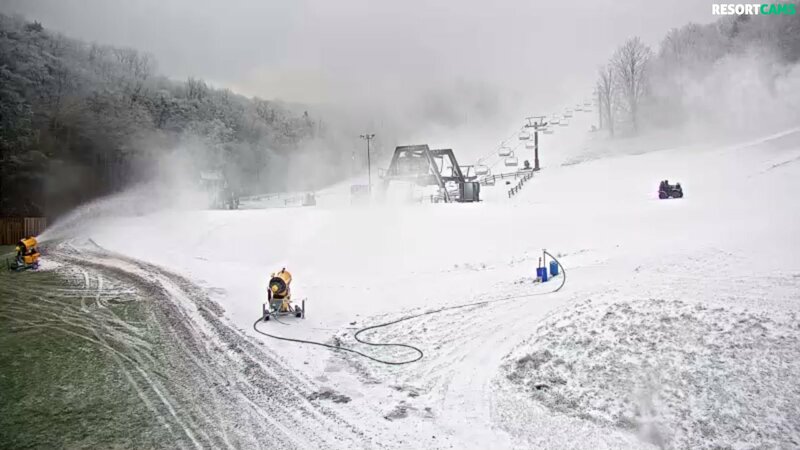 43° Sapphire Valley – tested the snow making system 11.11.2018 and seem to be shooting for a target date of December 16th to open…but they don’t rule out opening for Thanksgiving, next week. 34° no snowmaking at Wolf. No word since October. 33° Sugar Mountain is making something and open with 5 trails today. We ARE seeing a pretty cool pattern of cold and moisture and it’s only mid-November. If you want to drop me an email or comment, feel free. Next articleBlowing Rock WebCam is Back!